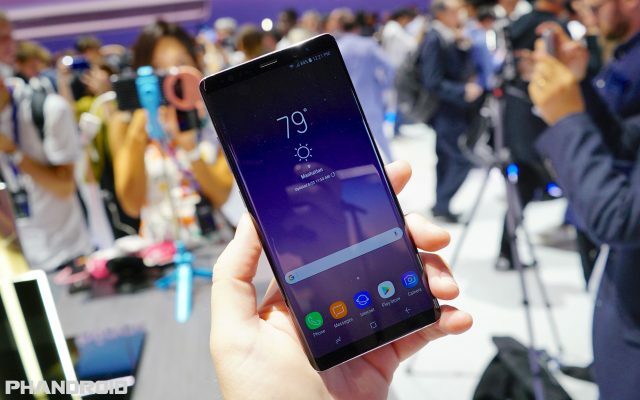 If you’re considering making the switch from an iPhone to the upcoming Samsung Galaxy Note 8, you should know that Samsung makes this process as painless as possible with their Smart Switch app. Even if you’re not switching away from iPhone, Samsung has you covered. They’ve also highlighted some interesting things you can do with your new Galaxy Note 8 including making GIFs, multi-tasking, using the low light cameras and more. Check it out. Connect your phones with the cable included with your Galaxy Note 8. Select Smart Switch in the menu that pops up. Select which phone sends and receives the data. Press Allow on your old device. Choose what files you are keeping and then press Transfer. Use the iPhone cable and the adapter included with the Galaxy Note 8 to connect your phones. Tap Trust on your old phone. Pick the files you want to keep and press Transfer. Tap the floating Air Command symbol on your chosen video. Adjust where you want to capture with the S-Pen. Hit Record then Stop when the time is right. Quick launch the rear camera by double tapping the power button. Frame your subject and adjust your focus level. Take the picture and then tap on it in the bottom right. You can adjust the focus level in the background and even add stickers. Curious about the S-Pen that’s included with the new Galaxy Note 8? This video is a short primer on all the things you can do with your S-Pen through the help of Air Command, which is the interface that launches automatically when you remove the S-Pen from the phone. Tired of having Air Command pop up automatically? There’s a setting that allows you to change that, too. The 2:1 screen ratio of the Galaxy Note 8 makes it perfect for multi-tasking. Here’s how. Press and hold the app you want. Drag it to the top of your screen. Then open the other app you want. You can even preset two apps to launch together using your Edge panel. Here’s how. Swipe left on the Apps Edge tab. Tap the + button to create a new Apps Pair. Select two apps you use together and press Done. Quick launch your rear camera by double tapping power button. Swipe right to see your modes. Adjust ISO and shutter speed. Frame up the shot and take it.